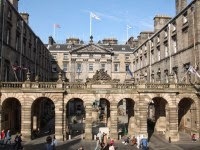 Unions representing workers at the City of Edinburgh Council are today urging councillors to resist plans to abandon a scheme that allows staff to prepare for retirement. The scheme allows paid days off in the last year of work but the council now want to heap the cost on to employees. This could cost a cleaner £3,000 in their last year before retirement. And when it comes to cost, the council is ignoring the millions it saves by staff who regularly work ‘above and beyond’ in unpaid overtime to keep services going. TUC figures show that more than a quarter (27.4 per cent) of public sector staff did unpaid overtime of almost eight hours a week in 2013. “The trade unions welcome age diversity in the workplace. We also welcome the associated legislative changes that, until 2011, barred those over 65 from invoking the relevant aspects of the Equalities Act to combat any move by an employer to enforce retirement purely on the grounds that they are over 65. A positive change in legislation is being used as an excuse by People and Organisation and CMT to attempt to hive off the cost of the transition into retirement entirely onto employees. outlined in the paper presented to committee, seems to cost less than 0.1% of the annual budget. We question and challenge the accuracy of the figures presented in the appendix to this paper. However even on what seem to be the inflated figures outlined in the committee papers, the actual costs to the Council of PR days seems to us marginal. By contrast the new draft policy demands employees to agree a minimum 20% reduction in salary to be considered for Flexible Retirement. A cursory glance at these figures, when totalled up, show that they roughly mirror the £730k outlined in paragraph 3.9 of the committee papers. That these proposals are nothing short of an attempt to hive off the cost of pre-retirement arrangements onto individual employees. Based on these assumptions the Council would no longer hypothetically pay “£730K” for PR days. In addition the resulting “saving” of a minimum of 20% per employee will mean that the total would, hypothetically, be nearer £1.5 million per annum. Many of our members see that the corporate side of the Council has come to suffer from what we shall term Waverley Court Bias. The psychological, emotional, social and other issues facing thousands of low paid Council staff – staff whom have often spent decades looking after and caring for the most vulnerable children, young people elderly and disabled members of the community, we also have the manual workers who ensure our environment is kept clean and our public parks and gardens are well kept, all the above tending to be seen as low status, often physically demanding work. In addition it is important to note that a reduction of a minimum of 20% of salary for those who earn less than £20K per annum is arguably likely to be far more financially problematic than it would be for the 400 or so managers in the Council who earn over £50K per annum. Consider the home carer, cleaner, refuse collector starting work at 6am five days per week working split shifts, and in all weather conditions. Many staff have done work like this or other work with similar levels of physical demand for decades. The new draft Retirement Policy, it seems, better suits the work situation of the people who have written and approved it than it does many thousands of others it will adversely affect, should it come into force. Lastly, that essentially the Council have a veto on any offer of flexible retirement with no right of appeal is simply not acceptable, given the complexities and sensitivities associated with the transition into retirement. We know how our members’ prize the PR Days and we intend to defend them in ever way we can. It was not the local government workers who were the cause financial crisis, but once again we see another attack on them. we have seen a great reduction in pay levels over the years and a continues attack on our terms and conditions. tabled to the Corporate Policy and Strategy Committee we will immediately begin consultation with our membership on what, if any action, they are prepared to take in defence of current arrangements. We question the figures outlined in the paper, are accurate enough for the members of the Corporate Policy and Strategy Committee to make a clear decision about. In this appendix we raise our criticisms of the figures outlined. Immediately following the figure of £730K is a table supposedly breaking down the costs by department. Do these figure include abatement of annual leave? When a member of staff applies for and takes PR days their annual leave entitlement is abated to reflect the reduction of hours. This would lower the cost further. Nothing is mentioned about the actual number of those who are currently between 64 and 65 who currently take PR days. Instead a maximum possible figure is presented, which is neither objective nor representative of the current situation. What is the actual figure? No figures whatsoever are presented on the number of employees who are currently over the age of 65 and who haven’t taken PR days. beyond all doubt? Again there is an assumption that all staff over 60 could potentially demand PR days. By any brief objective analysis any assertion that this could become a reality does not seem credible, even if in theory it was applicable. The date people can claim the state pension from has risen to 67 years and 3 months. To retire early and take their LPF pension early will simply not financially possible for many. No objective analysis has been done about the likelihood of take up of PR days for those over 60. Instead the very worst case scenario has been illustrated: That the Council will somehow be in the position that 10% of its workforce will all suddenly want to take PR days at a cost of £10 million pounds. Any assertion that this would come about seems, to us, to also lack any basic credibility.